The Mardi Himal trek is a relatively new and hence, a less explored trekking route in Nepal. Away from the busier and more crowded trekking routes, the trek is an ideal getaway for those interested in trekking and also as well for the beginners as prior experience isn’t needed. The trail is small and winding, passing through villages, beautiful and dense rhododendron forests, narrow valleys up to High Mountain landscapes with homestays and tea houses along the entire route. 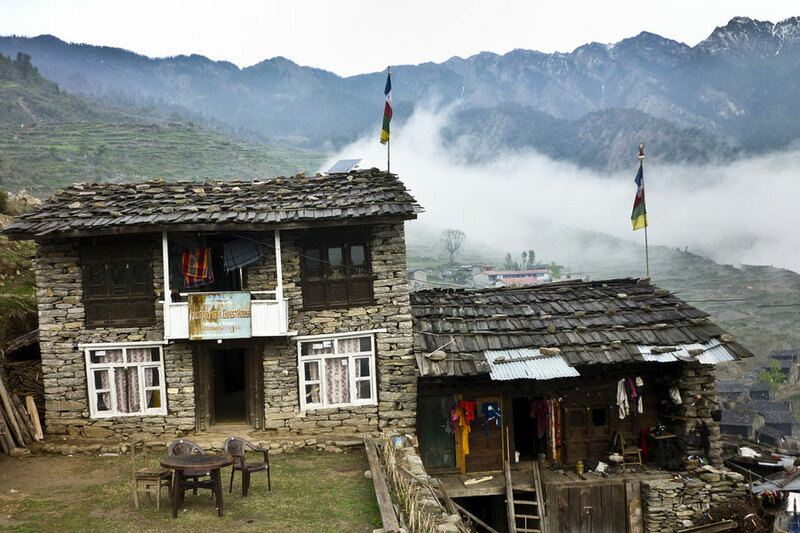 The trek offers visitors a chance to experience the culture and traditions of the local communities, to feast their eyes upon the incredible sceneries, endless diversity of flora and fauna of the region, and views of mountains such as Mardi Himal, Machhapuchhre (Fishtail), Annapurna south and Hiuchuli. All these elements make this one an ideal trekking experience in Nepal. The trek begins after an hour’s drive from Pokhara to Kande. 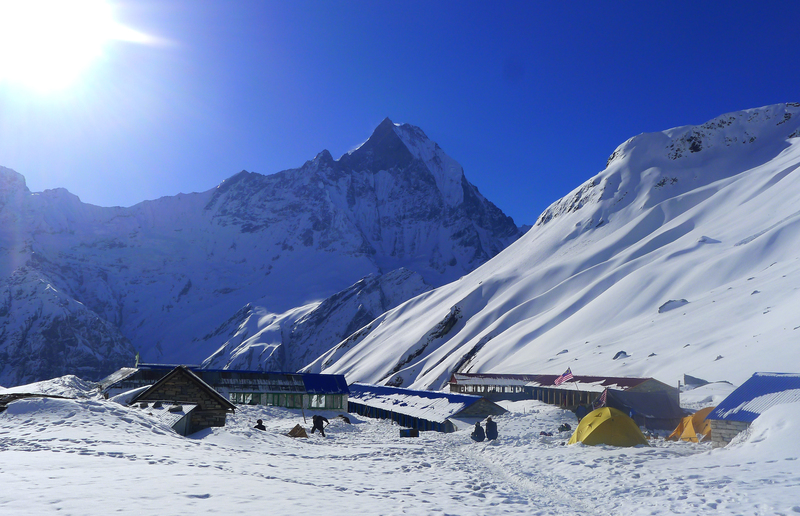 Trekkers shall make their way up towards Australian camp and then down to Pothana 1890m and again up to Deurali 2100m. The trail then passes through dense rhododendron forests into Forest Camp 2600m. The trail continues getting steeper through more forests with occasional glimpses of Annapurna South before getting into Low Camp (2970m). The trail then leads into High Camp 3550m (mistakenly shown at 3900m in trekking maps). The landscape changes as you get closer to High Camp. Trekkers will suddenly find themselves in a rocky high mountain landscape, with amazing views of Annapurna South, Hiunchuli, Mardi Himal, and Machapuchre. Trekkers can then head further towards the Mardi Himal base camp at 4500 which is about 4 hours from High camp and again make their way back towards High Camp in the same day. Day 09: Trek to Lumle for 3 hours and drive to Pokhara about 2 hours driving. Once you land at Tribhuwan International Airport, you will be picked up by our representative who will drop you off at the hotel. Overnight in Kathmandu. With breakfast done, we start for our drive to Pokhara. The journey is 6-7 hours long but pleasant with nice views of green hills and rivers flowing below. Overnight in Pokhara. With a hearty breakfast done, we drive to Phedi from where our trek begins. We make our way on stone steps, terraced fields and through some villages and forests to reach Dhampus. After lunch, we set off for Deurali, a tiny but pretty village situated on a ridge where one can enjoy spectacular views of Annapurna South, Mardi Himal and Macchhapuchhare. Overnight in Deurali. We leave Deurali passing through a rich forest filled with the beautiful red rhododendrons. The trail is pretty quiet until the clearing of the forest camp. We can take spend some time here exploring the area called Kokar. Overnight in Forest Camp. We leave forest camp walking through dense forests to reach low camp. Experience fantastic view of Mt. Machapuchhre (Mt. Fishtail) from here. We will spend the evening exploring the local culture. Overnight in low camp. We leave low camp on moderately steep trail alongside a ridge towards Mardi Himal and Macchhapuchhre. The trail soon becomes more arid. If lucky, we might even spot the Daphne pheasant (national bird of Nepal) en route. We climb further to reach high camp, where magnificent mountain views await us. Overnight in high camp. Today, we leave for the upper viewpoint. We move sometimes up, sometimes down and through narrow and steep trail to reach our destination. The trail leads us through pastures and along a narrow ridge to reach Upper Viewpoint where we will find stunning views ofAnnapurna I (8091m), Annapurna south (7219m),Machapuchhre (6993m),Mardi Himal (5587m), Hiunchuli (6441m), Tent Peak (5695m), BarahaShikhar (Mt. 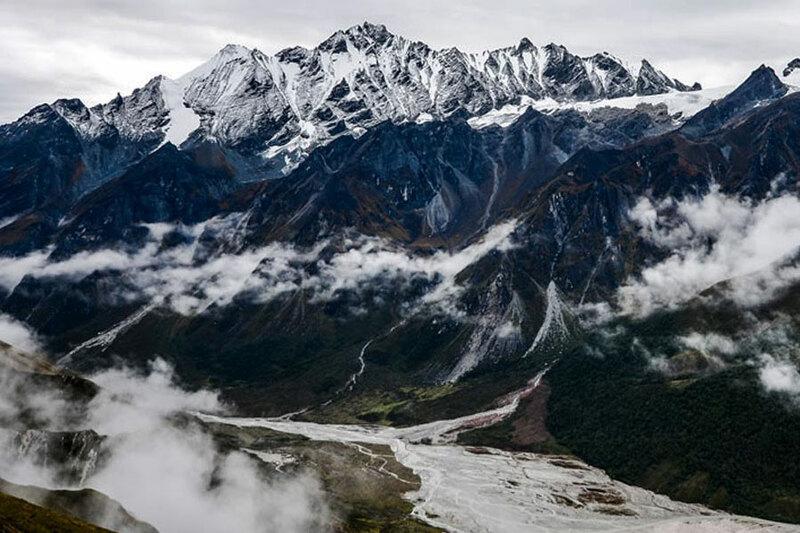 Fang) (7647m),Singhachuli (6501m), and others. After soaking the view, we trek back to high camp.Overnight in high camp. Today we make a slight change in the route and head towards Sidhing instead of returning to Mardi Himal as the alternate route lets us experience the region some more and adds a spark of excitement to the trek. Siddhing is quiet and less crowded and the perfect retreat. Overnight in Siddhing. 2 nights accommodation in Kathmandu at 3-star Nepalese standard hotel. 2 nights accommodation in Pokhara at 3-star Nepalese standard hotel.